If you are hesitant to apply for Canada PR in absence of Canadian job offer, here is good news for you. Latest Express Entry report revealed that job offer is not the essential parameter to succeed in the express entry. 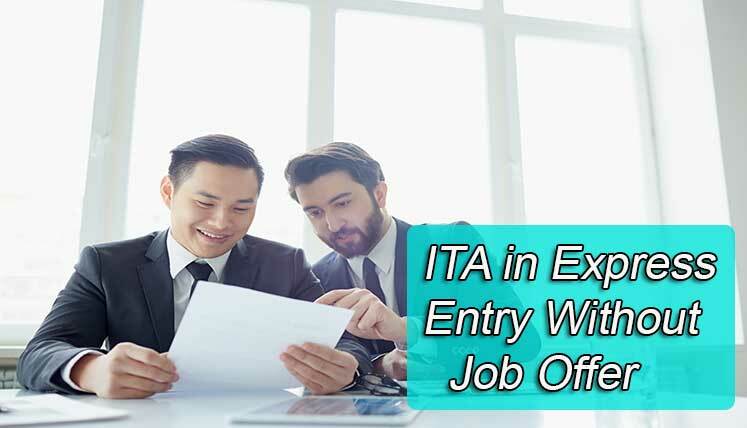 As per the latest data released by IRCC (Immigration Refugees and Citizenship Canada), a huge number of candidates without the job offer were able to obtain the ITA (Invitation to Apply) in the express entry in the first half of last year. As per the latest statistics released by IRCC, the people without the Canadian employment offer have been the largest receivers of Canada PR Invitations through express entry system. They also ranked high in the Express entry pool, despite the absence of Canadian employment offer. As per Immigration Refugees and Citizenship Canada, about 90% of applicants in the EE pool, who received Canada PR invitations(in the first half of last year, i.e. 2017)didn’t have any employment offer in Canada. This number was incredibly high compared to the number prior to the changes made in November 2016 (11 months before). In November 2016, IRCC decreased the CRS points for the job offer from Canada. The changes implemented by IRCC in November 2016 had a huge impact on the ranking of express entry applicants not having employment offer. Earlier, express entry candidates with job offer used to get additional 600 points, which were reduced by IRCC to either 200 or 50 CRS points based on the occupation category of the applicant. This crucial rule change made the position of applicant with no job offer considerably strong in express entry system. Consequently, the candidates with the high human capital score, i.e. score based on age, education, language skills, work experience etc. received more ITAs in subsequent EE draws. Apart from a change in employment offer points, there were some other changes also introduced in November 2016, i.e. points allocation for Canadian Education credentials and extending the time period (from 60 days to 90 days) for submitting Canada PR visa application after receipt of ITA. Before implementation of November 2016 changes 17,614 applicants were invited with an increase of 62 percent, however, post-implementation of November 16 changes, the number reached to staggering 48,098 with the massive increase of 90 percent of total applicants. Also read-1st Express Entry Draw of 2018- Will IRCC please the Applicants on New Year? Canadian government has made it easier for skilled workers to obtain PR visa in Canada. Hence, it’s the perfect time to prepare your file and apply Canada PR to get ITA (Invitation to Apply) in 2018. To get complete documentation assistance to apply Canada PR via express entry or PNP, you may contact Visas Avenue Immigration. You may call the expert onToll Free Number- 78-18-000-777 or e-mail your Canada PR related queries to Visas Avenue e-mail id-info@visasavenue.com. Visas Avenue is a registered Canada Immigration Documentation Consultancy firm in India. H1-B Visa Issue- What is best pathway to get PR in Australia?